It’s not just another day of a fresh month. But a month full of laughter and love. 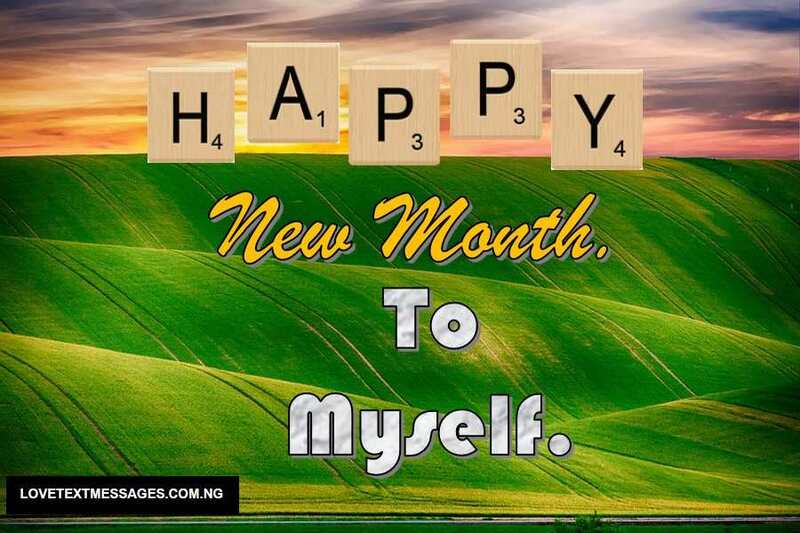 A month that’s going to be filled with happiness, favour, joy, goodness, success, good health, peace of mind and body. 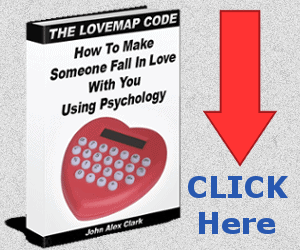 You want to send lovely Happy New Month messages to someone special in your life, ain’t that why you are here? Yes or Yes? 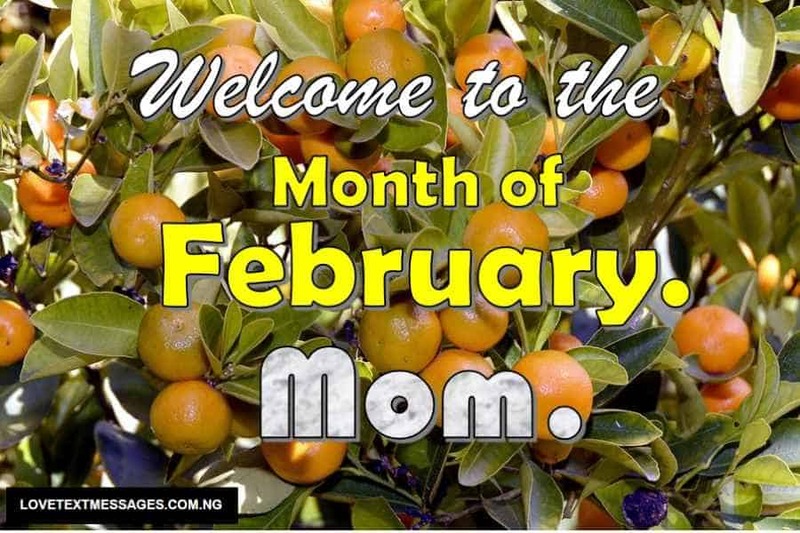 Here is a collection of beautiful and sweet Happy New Month of February Messages for Lovers, Friends, Loved Ones and, including the ones for yourself. 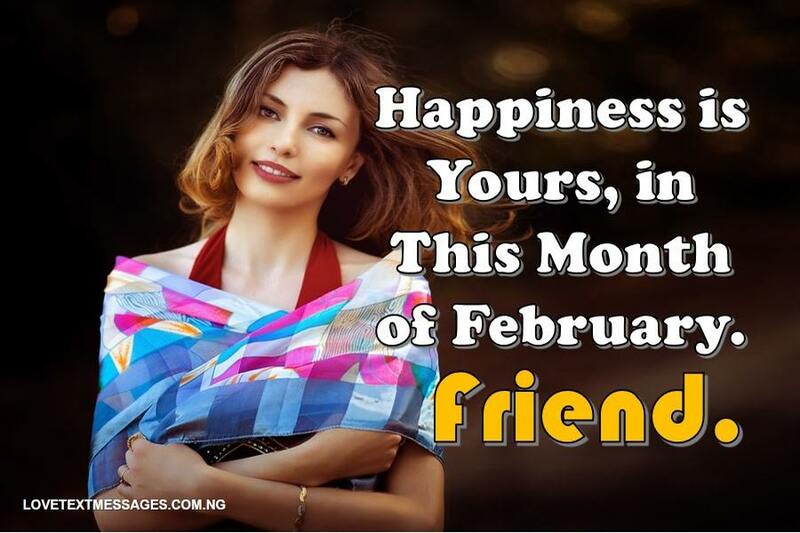 Happy New Month Messages and Wishes to send to your Boyfriend, Girlfriend, Husband or Wife for February 2019. 1. In this month of February, you will be blessed beyond measure. Happy New Month to you, sweetie pie. 2. You will receive not bad and terrible news, but good and beautiful news today and always. Happy New Month, my prince charming. 3. 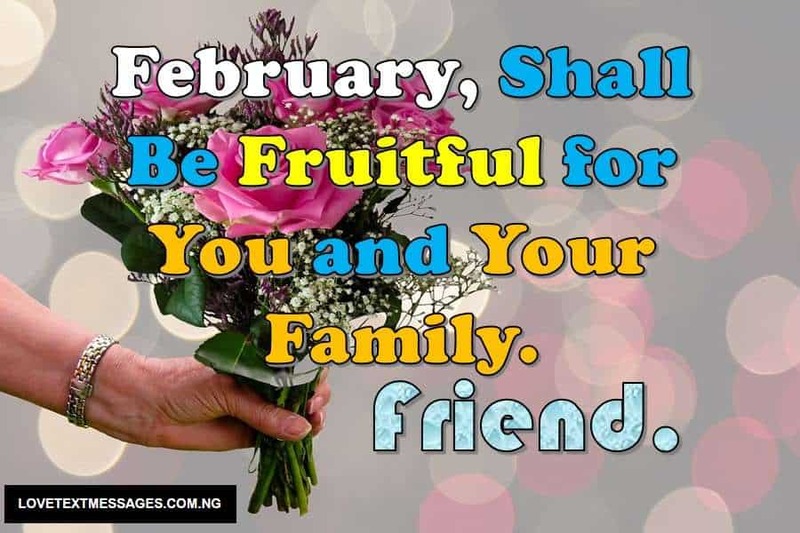 The month of February will be a month of favour and blessings. Happy New Month, cuppy cake. 4. You will always go higher and not lower, forward and not backward in this month and beyond. Happy New Month to you, my dearest boyfriend. 5. This month will bring you unending favour, joy and happiness. Happy New Month, beautiful. I cherish you always. 6. Good health, prosperity and peace of mind are my best wishes for you today and always. Happy New Month, handsome. 7. In this new month, I pray that God locate and bless you beyond your imagination. Happy New Month! 8. Peace, happiness, joy, favour and success will abide with you today and always. Happy New Month to you, my dearest. 9. I pray that this month will be filled with joy, blessings and fruitfulness. Happy New Month, beautiful. 10. May God continue to guide and direct you in all your endeavours today and always. Happy New Month, my love. 11. In this new month, you shall succeed and not fail. You shall progress and not retrogress. Happy New Month to you, sweetheart. 12. I decree God’s blessings, love and benevolence upon you today and beyond. Happy New Month, my prince charming. 13. Congrats! It’s a beautiful day of another wonderful month. May each and every day of this month bring you happiness and love. Happy New Month, cuppy cake. 14. I wish you all that you wish yourself, and may all your dreams come true. Happy New Month to you, my dearest. 15. May God restore all that you have lost in the previous month. Happy New Month, my one and only. 16. Blessing, joy, grace, peace and favour will follow and remain with you today and beyond. Happy New Month, handsome. 17. I officially welcome you to your month of favour, breakthrough and prosperity. Happy New Month to you, my baby. 18. May God change your story from bad to beautiful and may He bless you abundantly. Happy New Month, my prince charming. 19. 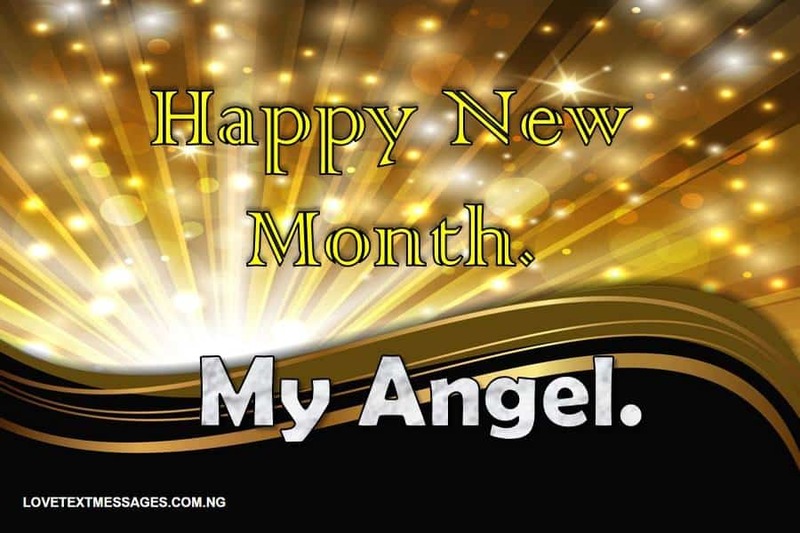 It’s my prayer for you that this month will be a special one and may it bring you closer to your dreams. Happy New Month, damsel. 20. As we start the month of February, it’s my prayer that God will open doors of favour for you. Happy New Month to you, my love. 1. As you step into the month of February, may happiness, love and joy stay with you. Happy New Month, my dearest friend. 2. Good health, peace of mind and body, joy, gladness; all these and much more will be yours today and always. Happy New Month to you, my beautiful friend. 3. May God restore every one of your lost blessings and opportunities in this month of February. Happy New Month, my sweet friend. 4. It’s my prayer that in this new month, God will turn your dreams into reality. Happy New Month to you, buddy. 5. Just as it’s not hard for a bird to fly in the sky, it will not be hard for you in this new month. Happy New Month, handsome. 6. May God fulfil all your dreams and aspirations today and always. Happy New Month to you, my good friend. 7. In this month of February, you will be graciously blessed and favoured by God. Happy New Month, beautiful. 8. 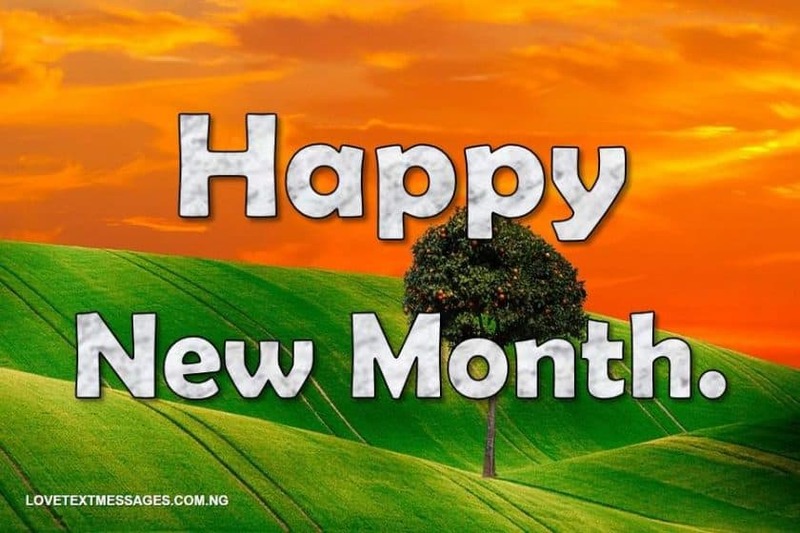 I wish you God’s blessings and happiness today and throughout the month. Happy New Month to you, my dearest friend. 9. May the month of February be filled with good tidings and all-round success for you. Happy New Month, my lovely friend. 10. Cheers to a month of fruitfulness, freedom and favour. Happy New Month to you, my sweet friend. 11. I wish you have a wonderful and amazing February. A month filled with laughter and love. Happy New Month, my good friend. 12. It’s my prayer that all your labour in this new month will not be in vain. Happy New Month to you, my beautiful friend. 13. Testimonies will not cease from your mouth. You shall sing a new song each and every day. Happy New Month, handsome. 14. May each day of this month bring you peace of mind, happiness and joy. Happy New Month to you, my sweet friend. 15. Your joy will not turn to sorrow, and your happiness will not change to sadness today and all through the month. Happy New Month, my lovely friend. 16. The good Lord will be your strength and your shield today and beyond. Happy New Month to you, my dearest friend. 17. The plan and will of God concerning your life shall be fulfilled in this month of February and so shall it be. Happy New Month, buddy. 18. May God turn things around in your favour today and throughout the month. Happy New Month! 19. May you never lack anything good this month and beyond, and may God grant all your good heart desires. Happy New Month, my beautiful friend. 20. Every decisions and choice you make in this month of February, God’s favour will be sufficient for you. Happy New Month, best friend. 1. May all your days in this new month be filled with God’s blessings. Happy New Month to you, my dearest brother. 2. May God fix whatever is broken in you today and all through the month. Happy New Month, my beautiful sister. 3. Breakthrough, blessings and happiness shall be yours today and always. Happy New Month to you, my lovely son. 4. May the Almighty God give you peace of mind and body, happiness and joy. Happy New Month, damsel. 5. As you’ve stepped into the month of February, your shall experience positive changes in your life. Happy New Month to you, my charming brother. 6. May God right every wrong in your life, and make every crooked path straight. Happy New Month, my beautiful daughter. 7. It’s my prayer that God will preserve you today and throughout the month. Happy New Month to you, my dearest brother. 8. Divine success, unmerited favour and joy unspeakable shall be yours forever. 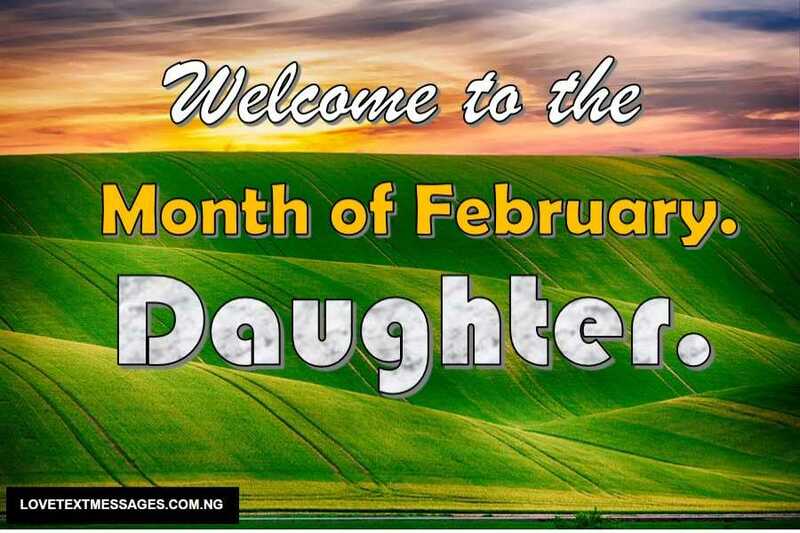 Happy New Month, my lovely daughter. 9. May you continue to flourish and glow, even in the face of the uncertainties of life. Happy New Month to you, my dearest cousin. 10. Enjoy your month of February to the fullest, with your goals and dreams being fulfilled. Happy New Month, my lovely son. 11. Uncommon blessings, favour and prosperity will be yours today and forever. Happy New Month to you, my sweet sister. 12. I declare God’s love, blessings and happiness into your life today and beyond. Happy New Month, my dearest brother. 13. I pray that God will visit you with a double portion of His blessings and joy. Happy New Month to you, my beautiful aunt. 14. I welcome you to the month of happiness, favour, blessings, prosperity and good health. Happy New Month, uncle. 15. May the favour and blessings of God be sufficient for you today and throughout the month. Happy New Month to you, son. 16. May God satisfy you with every good thing of life, and may your dreams come true. Happy New Month, my daughter. 17. This February, your going out and coming in shall be blessed and favoured. Happy New Month to you, brother. 18. May God bless you with all the desires of your heart today and always. Happy New Month, sister. 19. 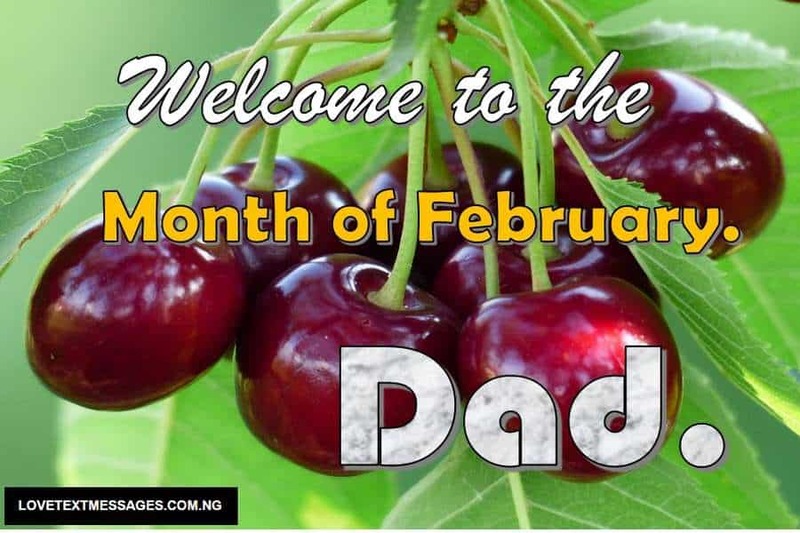 I wish you have a wonderful month of February ahead of you. And may it bring you joy and happiness. 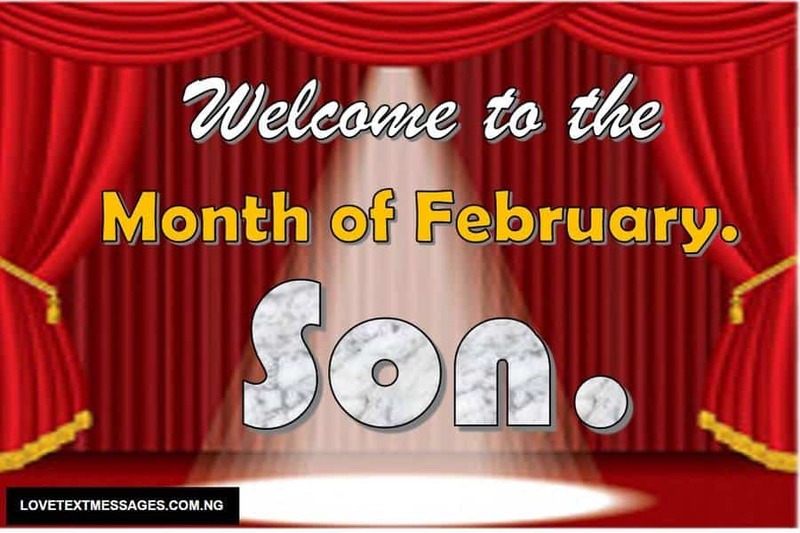 Happy New Month, my dearest son. 20. In this month of February, may God always favour you, and continue to bless and keep you. Happy New Month, my beautiful daughter. Sweet Wishes and Messages to Wish Yourself Happy New Month of February. Happy New Month to Myself Wishes and Status. 1. In this month of February, I pray that God broadens my horizons and bless me beyond measure. Happy New Month to a new me. 2. It’s my prayer that God will take me to a better place in this new month. Happy New Month to me, myself and I. 3. Every area of my life will receive God’s favour, blessings and joy. Happy New Month! 4. 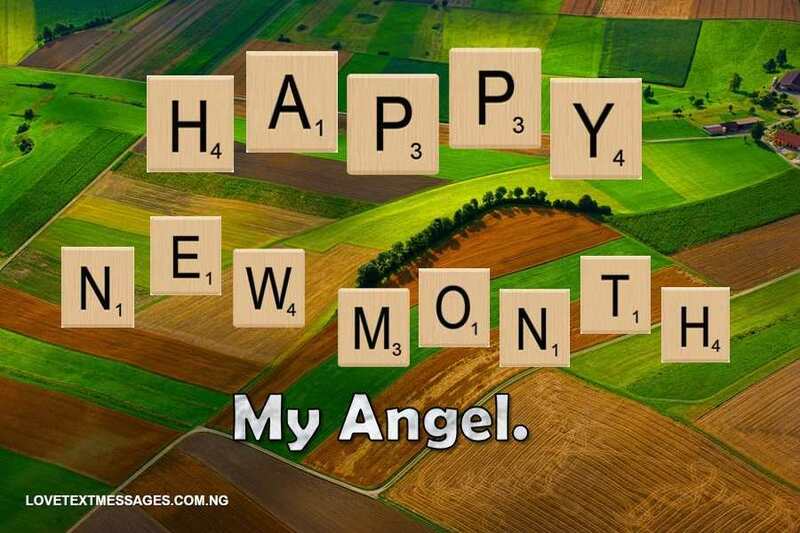 God’s benevolence, goodness and kindness will follow me today and throughout the month. Happy New Month to me, myself and I. 5. As I step into a new month, may God renew everything that is within me. Happy New Month to a new me. 6. It’s my season and month of unmerited favour and unlimited happiness and blessings. Happy New Month! 7. In this new month, may God meet me always at the point of my need, and grant the desires of my heart. Happy New Month to me. 8. 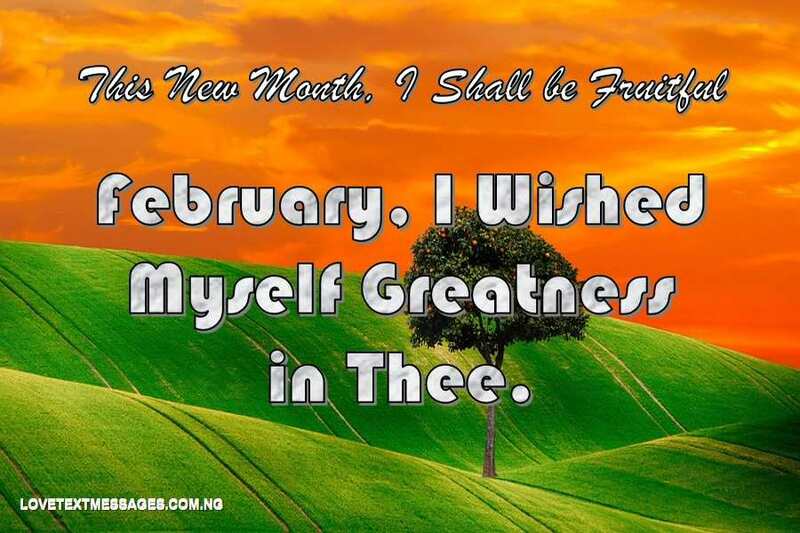 May this month of February bring about fabulous things in my life. Happy New Month to me, myself and I. 9. All my aspirations and goals will be fulfilled in this month, and so shall it be in Jesus name, Amen. Happy New Month to a new me. 10. Happy New Month to a new and better me, and may God continue to bless and keep me always. 11. May God complete all that’s incomplete in my life, and may He right every wrong in my life. Happy New Month to me, myself and I. 12. As I go through this month of February, it’s my prayer that everything will work out in my favour. Happy New Month! 13. May I today and beyond remember the month of February for good and not for bad. Happy New Month to a new me. 14. Every circumstances and obstacle in this month, I pray that God will change it for my good. Happy New Month to me, myself and I. 15. I decree upon my life God’s benevolence, peace, gladness and love today and all through the month. Happy New Month! 16. It’s a new, beautiful, glorious and amazing month, and so shall my life be also. Happy New Month to a new me. 17. Upon my life, I pray for God’s grace to function in this new month. Happy New Month to me, myself and I. 18. May each and every day of this month bring me everlasting happiness and joy. Happy New Month! 19. In this month of love, may God increase my love for Him, friends and loved ones today and always. Happy New Month to a new me. 20. I pray that God will increase my joy and happiness, and decrease my sadness and sorrow in this new month. Happy New Month to me.